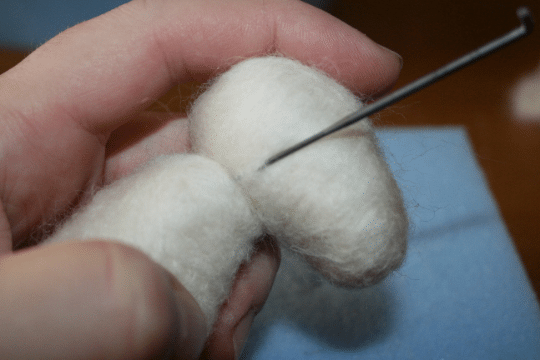 The beauty of needle felting is in its simplicity. You only need basic equipment and a small area to work on. 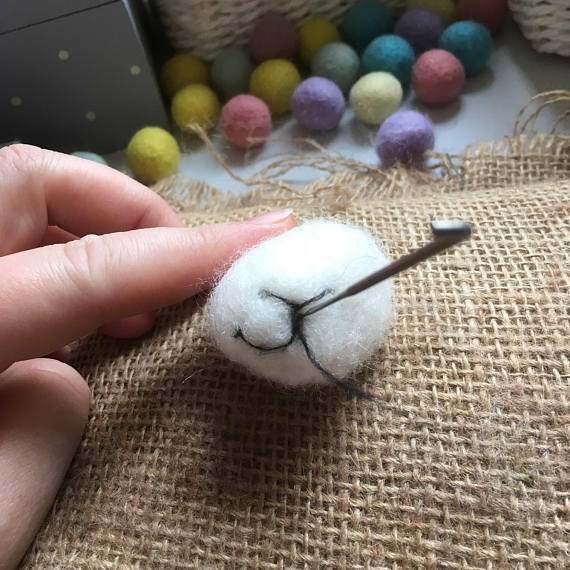 It is incredibly portable, light and requires very little space; just a needle felting kit of your own or, a stash of wool, foam pad, a felting needle.With just these few items you can firm and shape the wool into your own needle felted animals, insects and characters. 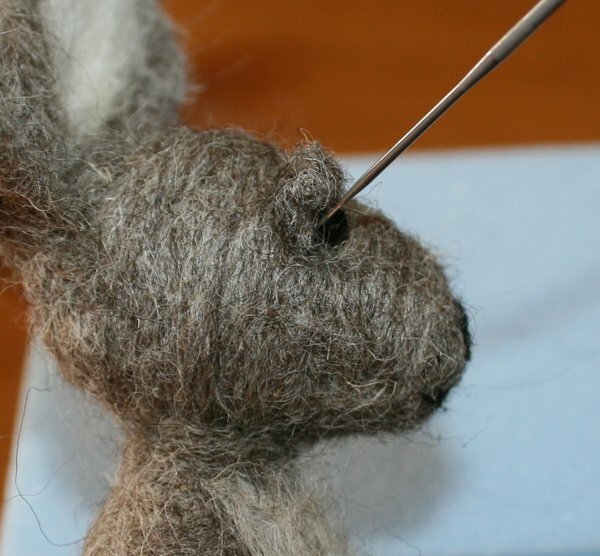 Needle felting is a process which uses barbed needles to interlock wool fibers to form a strong condensed material. Wool fibers have scales which, when rubbed against each other, catch and lock into place to create this denser material called felt. Felting needles are used to entangle the fibers. Told you it was easy…! Felt is probably the oldest known fabric and is referred to in many ancient writings and was produced as far back as 6300 BC. The processing of felt remains largely unchanged: One exception is that until the late nineteenth century mercury was used in the processing of felt for hat making. Mercury was discovered to have debilitating effects on the nervous system causing “the hatter” a type of poisoning that led to tremors, hallucinations, and other psychotic symptoms. This is where the term “Mad as a hatter” originates. Felt is not woven but is made from matted and compressed fibres that are pressed together using moisture and heat. *One story of how felt was invented says that St Clement and St Christopher, while fleeing persecution, packed their sandals with wool to prevent blisters. At the end of their journey, the movement and moisture had turned the wool into felt socks. Felt is not woven and so doesn’t fray. Felt was once ground up and used as an aerosol spray to conceal bald spots. Roman Empire soldiers used felt pads as armour, felt tunics, boots and socks. By the first century AD felt making was a common form of fabric making. Felt is widely used in many industries including the home construction industries for insulation and soundproofing. Many musical instruments use felt, including pianos. The density and springiness of the felt is a major part of what creates a piano’s tone. Earliest felt remains date back to 700 BC. They were found in frozen tombs in the Siberian Mountains.